Individual DGS results from the Feb.28 Batavia Quad meet vs. Batavia, Oswego, & Glenbard North can be found on the Schedule/Results page. On the schedule, the link for RESULTS includes all of the individual events. The link for SPLITS includes relay splits for the 4×800, 4x200m and 4x400m relays. On Friday, Feb.26, the Mustangs will travel to Batavia HS to compete in against Oswego, Glenbard North, the host Batavia Bulldogs. The meet will begin at 4:30pm on one of the best high school indoor tracks in Illinios. The 6-lane, 200m track at Batavia HS is fast, especially compared to the 160m tracks that we have competed on the past 2 weekends. While the difference between a 160m track (at DGS) and a 200m track (at Batavia) may seem like only 40 meters, the major difference is the sweep of the curves. On our shorter track, athletes must slow down in the curves in order to maintain balance. This has a huge impact on sprinters. Short tracks with tight curves also often force athletes to run more towards the outside of the lane, which over the course of race, makes the distance longer. This can have a significant impact on the distance races. Overall, a larger track with more gentle curves allows runners to run faster and stay towards the inside of the lane making the distance more accurate. The Fri, Feb.26 Batavia Quad meet line-up for all DGS athletes can be found HERE. Author Coach PlunkettPosted on February 25, 2016 February 27, 2016 Categories Track & FieldLeave a comment on Batavia Quad is tomorrow! Individual DGS results from the Feb.20 home meet vs. Benet, St.Ignatius, & Whitney Young can be found on the Schedule/Results page. On the schedule, the link for RESULTS includes all of the individual events. 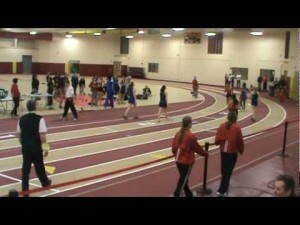 The link for SPLITS includes relay splits for the 4x160m and 4x400m relays. All athletes must be at DGS at 1:00pm. Meet line-up for all athletes can be found HERE. Field Events begin at 2:00pm. Running Events begin at 2:30pm. On Saturday, Feb.20th, the Mustangs will host teams from Benet Academy, St.Ignatius, Whitney Young, and Westmont in the DGS field house. The meet will begin with field events at 2:00p, followed by running events at 2:30p. All DGS athletes should arrive by 1:00p to help set up for the meet. Field events to be contested: shot put, long jump, triple jump, high jump, and pole vault. Boys & Girls CC finish 1-2 in Fall Sports GPA at DGS! The boys and girls varsity cross country teams had the 2 highest GPA’s among all the 9 fall sports teams at DGS this past fall. The girls team had an overall GPA of 3.84 which finished close behind the boys team 3.90. It goes to show that academics and athletics can be a good mix, especially if you are runner! The other fall sports are girls swimming, girls tennis, girls golf, girls volleyball, boys soccer, boys golf, and football. The overall combined fall sports GPA was 3.53. Author Coach PlunkettPosted on February 17, 2016 Categories Cross CountryLeave a comment on Boys & Girls CC finish 1-2 in Fall Sports GPA at DGS! 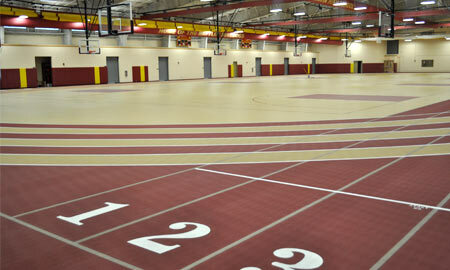 Individual DGS results from the Feb.13 meet at Hinsdale Central can be found on the Schedule/Results page. On the schedule, the link for RESULTS includes all of the individual events. The link for SPLITS includes relay splits for the 4x160m and 4x400m relays. DyeStat Illinois has posted previews for the 2016 season. Check out the 3A Girls Distance preview that includes defending state champion Michaela Hackbarth in the 800m. Check out the 3A Girls Sprints & Hurdles preview that mentions Shaliyah Dixon-Tucker in the 100m hurdles and lists Soren Umali as a top returner in the 300m hurdles. Check out the 3A Girls Field Events preview that lists Maddie Manganiello as top returner in the long jump. Check out the 3A Girls Team preview that does NOT mention the 2-time defending Sectional champion Mustangs…yet. MileSplit Illinois has posted previews for the 2016 season. Check out the 3A Girls Distance preview that highlights defending state champion Michaela Hackbarth in the 800m. Check out the 3A Girls Sprints & Hurdles preview that includes top 10 returners Shaliyah Dixon-Tucker in the 100m hurdles and Soren Umali in the 300m hurdles. Check out the 3A Girls Field Events preview and find Maddie Manganiello as the #15 returner in the long jump. Check out the 3A Girls Relays preview and find DGS with the #9 4x400m and #14 4x100m ranked relay teams from last season.